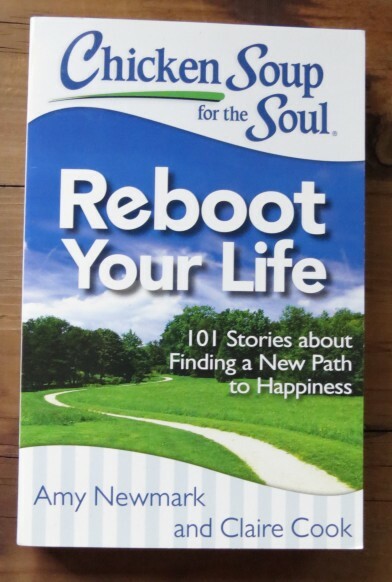 The Chicken Soup for the Soul – Reboot Your Life – a book filled with 101 stories about finding a new path to happiness – could this be a read you need? Sometimes it’s hard when it’s you who needs to find perspective on making your life happy. Sometimes one will find help through counseling. Other times, one does better by reading what others have gone through. I tend to be the latter. Hearing the strength of how others have turned their life around or found direction on how someone else has found happiness digests in my brain a lot better than counseling. I tend to not trust my judgement. I found the chapters under “Follow Your Heart” in Reboot Your Life, most inspiring. That said, there are 9 other chapters that give inspiration – Do It Now, Take a Chance, Find Your Purpose, Start Over, Mind Your Health and Overcome Adversity, Listen to Your Friends, and Take Time for You. The Chicken Soup for the Soul – Reboot Your Life can be found on Amazon.com. Enjoy the read.